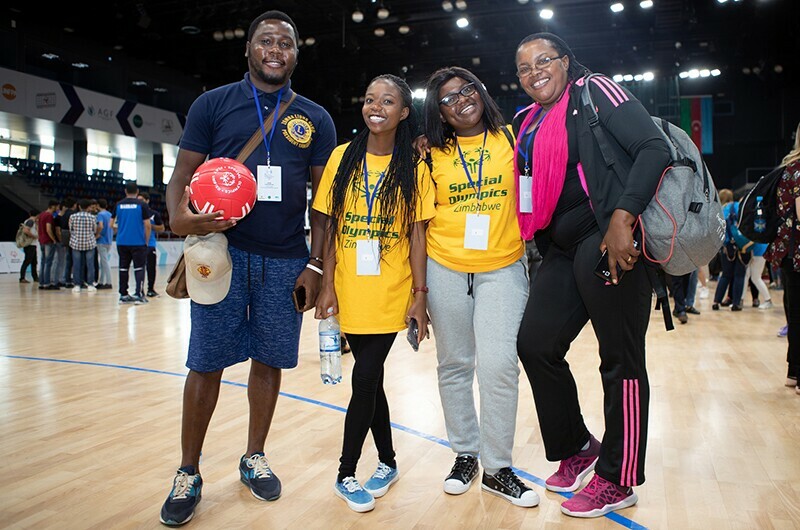 Peter Kanzunguze Jr, a Leo from Blantyre, Malawi (left) with participants at the Special Olympics Global Youth Leadership Forum in Baku, Azerbaijan which took place from 24 to 28 September. 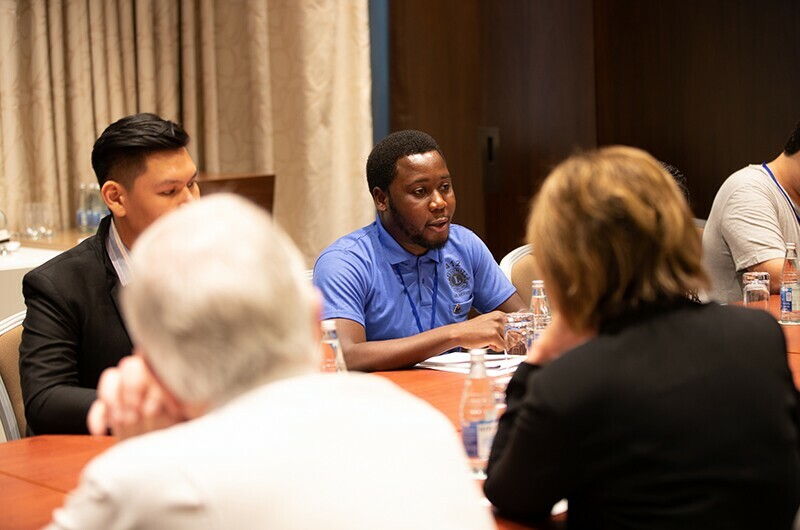 Peter Kanzunguze Jr, a Leo from Blantyre, Malawi, describes his experience of the recent Global Youth Leadership Forum in Baku, Azerbaijan, and how it has empowered him to advocate for an inclusive society! I arrived in Baku, Azerbaijan, on 23 September, 2018 for the Special Olympics Global Youth Leadership Forum. I was attending as a youth leader representing Leos from Malawi and my district. The Forum was a global convening of the Special Olympics movement to catalyze inclusive youth leadership around the world; it brought together youth leaders with and without intellectual disabilities and adult leaders representing Special Olympics programmes from across seven regions. In addition, leaders in sport and education, government representatives, sponsors, media, and celebrity ambassadors were invited to help in leading a Unified Generation. I was hugely inspired by the sports sessions including the Unified volleyball match led by Mr. Vladimir “Vanja” Grbic, an Olympic Gold Medalist and Special Olympics Global Ambassador. It was amazing to see the power of inclusion as players from both teams included athletes with and without intellectual disabilities. In the words of Vladimir, Special Olympics athletes show us that nothing is impossible. I was also delighted to attend a gymnastics demonstration organised by the Ocaq club in cooperation with Azerbaijan Gymnastics Federation and celebrity Unified football matches supported by Azerbaijani team Qarabağ FK. 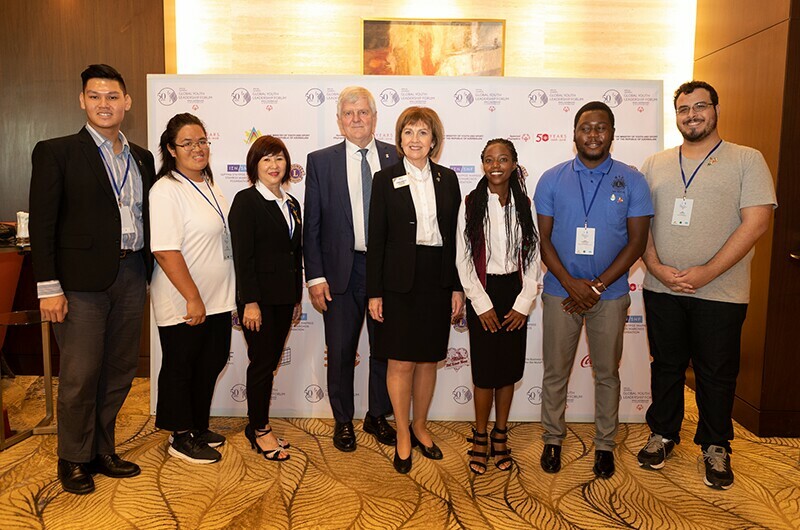 Leo participants at the Special Olympics Global Youth Leadership Forum in Baku meet International President of Lions Clubs International Gudrun Yngvadottir. I very much enjoyed the sessions which introduced us to the power of inclusion and the basics of Unified Sports. The practical session involved several soccer activities and demonstrations involving teams with individuals with and without intellectual disabilities. It was very intense but it was amazing to be playing on a team, knowing you had a role to contribute to its success—we won and lost together, every individual was important and we learned from each other. I learned that sports can be used for recreation, development and competition. I wasn’t previously aware of how these three aspects can be separated and how they can effectively be put in practice. Synergies between Lions, Leos and Special Olympics were evident all over the room and throughout the conference. From my personal experience, Leos—who are completely comprised of the youth—have a lot of energy, are very eager to learn and always up for a challenge. As Leos, we have very strong structures for engaging with the community through our various service projects. We are in a good position to be advocates for inclusion. I was pleasantly surprised to see how effectively Lions/Leos and Special Olympics work together—the possibilities of an inclusive society are endless and can be achieved through joint collaboration. I observed this particularly when we were working in groups on our individual projects. Peter Kanzunguze Jr, a Leo from Blantyre, Malawi in discussion with fellow Leo participants and International President of Lions Clubs International Gudrun Yngvadottir at the Special Olympics Global Youth Leadership Forum. All in all, Baku was amazing. It is a magnificent city with warm and friendly people and was well suited to host the Forum and the support that was given by the Ministry of Youth and Sport of the Republic of Azerbaijan, Lions Clubs International and the Stavros Niarchos Foundation just to mention a few was truly great and cannot go unnoticed. I have always been aware of issues that foster discrimination in my country such as low literacy levels, attitudes and beliefs and some negative traditions and cultural values. The Global Youth Leadership Forum has empowered me with the necessary skills and knowledge to advocate for an inclusive society and I intend to use the project grant to improve the welfare of people living with intellectual disabilities and create an inclusive society where communities will no longer discriminate. The Leo Club Programme constitutes an international network of over 6,500 clubs in over 140 countries. Community service is the cornerstone of the programme, fostering a lifetime commitment to helping others. Like their Lion counterparts, Leo club members enjoy serving their neighbors and watching positive results unfold.